Southwestern populations in the U.S. have a long history of snacking on lemons, according to the University of Texas Health Science Center at San Antonio. Historically, a dried and salted piece of fruit called "Chinese candy" was inserted into a lemon and people sucked on the resultant juice. Today, consuming concentrated citrus powders have replaced eating lemons whole and are considered a regional public health threat. Lemons have been associated with a number of health benefits, but eating too many lemons can have harmful effects. Lemons contain the antioxidant vitamin C and potassium. Their vitamin C content increases your body's uptake of iron and may help prevent cancer, according to Drugs.com. Lemons also have antibacterial and antiviral properties and are thought to help lower acidity in the body. The most obvious result of eating too many lemons is their harmful effect on teeth. The citric acid in lemons can cause the erosion of teeth enamel and increase sensitivity to hot and cold. Lemons can also cause discoloration and loss of glossiness in teeth. The upper limit established for vitamin C intake is 2,000 mg per day for adults. Excess vitamin C can cause diarrhea and kidney stones. Vitamin C can interfere with healing after angioplasty and raise blood sugar levels in diabetics. Cancer cells seem to collect concentrations of vitamin C, according to Medline Plus, and vitamin C can worsen blood-iron disorders, glucose-6-phosphate dehydrogenase deficiency and sickle cell disease. The vitamin can also interact and interfere with many herbs, medications and supplements. One cup of lemon juice contains just 60.5 mg of vitamin C, but if you're eating a lot of lemons, you'll need to consider how much vitamin C you're getting from other foods every day. Food allergies can develop because of frequent and repeated exposure to any one food or substance, according to the NYU Langone Medical Center. In addition, there may be a link between peanut allergy and a sensitivity to lemons, reports Drugs.com. 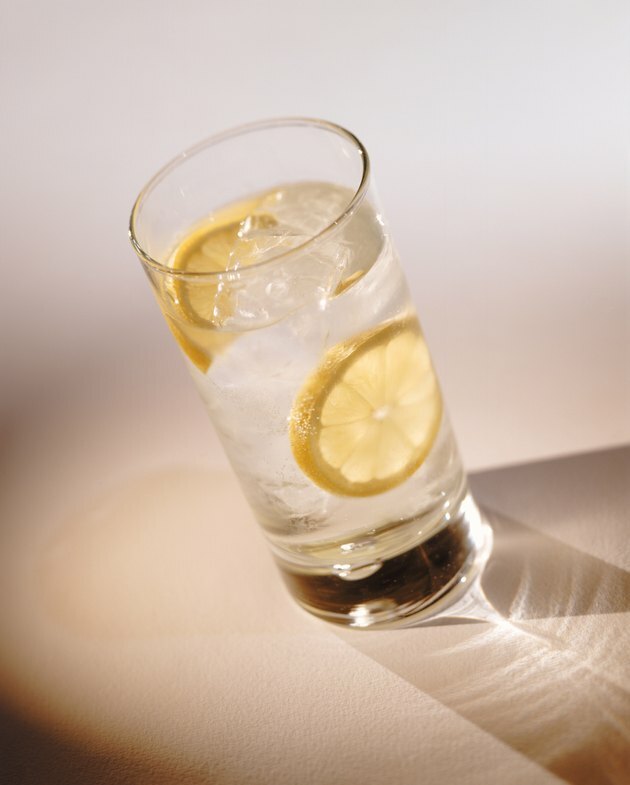 Eating too many lemons can be harmful if you have gastroesophageal reflux disease, or GERD. The acid content in lemons can aggravate an inflamed or irritated esophagus and give you instant heartburn. Lemons and other citrus fruits can help restore proper acid balance in the body once your esophagus has healed from GERD.